Home/Resources/Reptile Articles/Can Feeder Insect Diets Contribute To Gout In Reptiles? Can Feeder Insect Diets Contribute To Gout In Reptiles? The current trend of the increased usage of Cockroaches as feeders, may have some unforeseen effects on Reptile Nutrition. 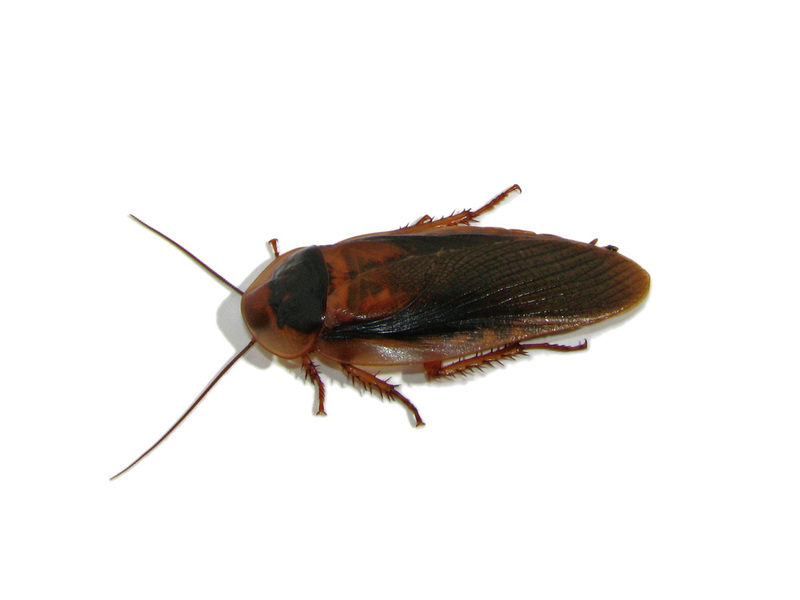 There are several reasons that Roaches have increased in popularity as feeders. First, the Cricket virus that nearly wiped out the Domestic House Cricket, has depleted Cricket quality, cost, and availability. Second, Hobbyists and Breeders have discovered that keeping and breeding Roaches is much easier than Crickets, and there are many different species that can be chosen from to suite individual preferences. I was recently researching some developmental feedback I had received from one of my new product testers who was helping me in the development of my” Bug Burger” which is a gel based complete insect diet. In the course of testing and developing the product, I stumbled upon an issue that I think should be noted by all Animal keepers who are using roaches as a part of their insectivore diets. I will share here, the initial issues and the resulting information I learned in conjunction with researching the problem. After about three months, I had a single report from a Beta Team member that they had experienced an unexpectedly high mortality rate in one of the Roach colonies that had been fed the Bug Burger exclusively. We corresponded about the issue at length and some changes were noted in their protocol that was noteworthy. I was informed that during the first 10 weeks of testing, the Bug Burger was fed until totally consumed, then replaced the following day. This meant that there was a period of approximately 12-24 hours that the Roaches (B dubia in this case) were going without food. During a correspondence at this time, this protocol came up in discussion, and I asked that they put enough Bug Burger in the container so that the Roaches would never run out….. Adding a new block of Gel before the older one was totally consumed. Two weeks after this change was made, the report came in that there was a higher than normal loss of only adult Roaches. This led to my sleepless night surfing the web looking for answers, or someone who could help. This led me to the University of Massachusetts Amherst website, and the web page of Joe Kunkel, who has a very informative Website on Cockroaches, which he as studied extensively. The website gave me some clues, and by further researching his research references, and through personal communication, I made some very interesting observations, which fueled further testing and product development. I emailed Professor Kunkel with the report of my feedback issue, as well as nutritional details on the Bug Burger, and his simple response fueled and directed me to learn quite a bit about Roach nutrition. In the development of my Bug Burger product, and because I had been focused on Crickets as the primary consumer of the product, I had formulated about 23% protein into the product. This was based on having personally raised crickets on a commercial scale during the course of my partnership as co-owner of Sandfire Dragon Ranch. 20%-25% protein diets (chicken starter mash) did a great job of growing crickets quickly. I also personally raised a lot of Roaches on dry dog food, which has a similar level of protein, so thought this would work just fine for my Bug Burger Formula. So taking what I learned about roaches, and the feedback from Joe, I hypothesized that the Crash that was observed was caused by the change in protocol from “feeding after the food was gone” to “don’t let them ever run out” was enough difference to overdose the roaches on protein. I questioned the fact that I had raised a lot of roaches on 20% protein dry diets, but the consumption level of dry diet is much less with roaches than the Bug Burger. Roaches just seem to devour this formula like it is going out of style, so I believe that this higher consumption rate creates enough difference to cause the crash. Noteworthy also, is that the crash was only observed in mature adult Roaches, which could be explained by the fact that growing Roaches would metabolize protein at a higher rate in order to put on body mass, while a mature adult Roach would have a lower protein requirement, and thus, begin storing Uric Acid sooner. In one study on German Cockroaches, Field-Collected roaches contained an average of around 15 µg/mg Uric Acid, while those fed a 24% protein rodent chow, had an average level of 125 µg/mg. Imagine what the levels would be in a roach fed commonly used cat foods that contain around 40% protein. I quickly went to the Lab and reformulated a new batch of Bug Burger, reducing the level of protein from 23% down to around 12%. My research told me that this should be enough for Crickets, and not be too much for Roaches, meaning I could still have one product that would work for both. This new formula went out to the Beta Team with a “don’t let them ever run out” order, and the reported crash was not reproduced, while both Roach and Cricket growth and development was unaffected. So what does all this have to do with Gout? Well, learning how roaches store Uric Acid, rather than excreting it in Urates like other insects, made a little light bulb go off in my head. Uric Acid in most Insects and Vertebrates is excreted through either the Urine, or Urates (in the case of Reptiles). Buildup of Uric Acid in the blood can be caused by a combination of factors. High dietary levels of protein, combined with environmental factors such as dehydration (very common in captive reptiles) can decrease renal (kidney function), which is what filters the Uric Acid from the blood. When Uric Acid builds up in the blood, it can be deposited as crystals throughout the body, often seen as swollen limbs or joint inflammation. When we combine the fact that Uric Acid buildup in the blood is the primary cause of Gout, and the fact that Roaches fed a diet higher than 15% protein will store large amounts of Uric Acid in their bodies, it is not hard to conclude that Roaches fed a typical high protein diet such as most commercial insect feeds and commonly used cat and dog food, that we are literally pumping our Herps full of excess Uric Acid using this combination. Combine this with the fact that in my opinion, chronic dehydration is one of the biggest unseen pressures on Reptile health in captivity, and we have a recipe for disaster. Decreased kidney function (Renal dysfunction) is one of the first things affected by dehydration. A reptile cage designed with spot heat and air recirculation is not a lot different to a commercial dehydrator that turns meat into beef jerky! Many Reptiles do not need supplemental water in nature because they don’t live under such conditions, and they can get all the moisture they need from their diet. Because of this, many Reptiles do not easily recognize still water. Nearly all Reptiles will recognize dripping water, but in captivity, this is difficult to provide on a regular basis. Throw into the mix, other factors such as poor supplementation, and sub optimal temperatures, and we have a lot of reasons that Uric Acid buildup can become a very real concern in the husbandry of Reptiles. Looking further, I think that all feeder insects should probably be on a diet of less than 15% protein. There simply isn’t a reason to have more than this unless you are a commercial cricket breeder trying to maximize growth. Crickets don’ t store Uric Acid like Roaches do, but excess protein can still create higher levels of Uric Acid in the body of these and other insects. I have often heard that people who make their own veggie based cricket feeds or “gutloads” have sworn that they had healthier Reptiles compared to using commercial feeds and gutloads, and I always wondered why…. Maybe this writing can shed some light on the issue and spawn further research. Most diets mixed together out of various greens are going to be in the 10% - 13% protein range (DMB) based on typical analysis…… Some food for thought… so to speak. Please note, that I put this together in a couple of hours, and this is by no means a proven theory. I do believe that what I have found warrants a closer look by someone who has the time to dig deep into the research that has been done on Uric Acid storage by Cockroaches fed high protein diets. I would like to invite others to look deeper into this idea and report your own conclusions. I have also posted this article on my Forum where I encourage you to comment and add your input and feedback.